Launched in 2005, the Ultimate Charity Initiative helps raise funds for less fortunate countries and communities around the world, many of which have given us and our guests such a warm welcome and endless enjoyment. The scheme involves us levying a small voluntary contribution on each tailor-made and escorted tour invoice which we then match before distributing the entire amount to our chosen project. Over $500,000 has been raised and distributed to a wide variety of projects around the world. We and the recipients are deeply grateful for your generous support. Thank You. The GCT is a UK registered charity that raises funds for a number of vital projects in the Galapagos Islands. It is also a primary source of information and comment in the UK on the islands' myriad conservation issues. To advocate, plan, support and fund the protection, conservation and rewilding of natural wilderness and their wild inhabitants, especially tiger habitat, through the clever and wise use of nature tourism, using better visitor guidance, more community involvement, targeted green investment and enhanced governance and monitoring. 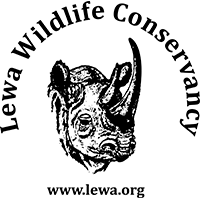 The Lewa Wildlife Conservancy operates over an area of more than 700,000 acres in northern Kenya and works as a catalyst for the conservation of wildlife and its habitat. It does this through the protection and management for endangered species, the initiation and support of community development programmes, and by promoting the value of wildlife conservation to local school and colleges. 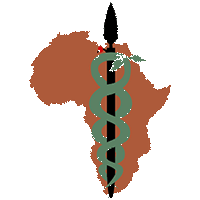 FIMAFRICA (Foundation for Integrated Medicine in Africa), is a registered Canadian charity delivering integrated medical services to remote and impoverished communities living in Northern Kenya. The Ultimate Travel Company have sponsored FIMAFRICA's mobile clinics for 2011. We will sponsor Christine from Il Polei to go to homeopathic school at Abha Light Foundation so that on her return she can provide much needed medical care in the form of homeopathy. The Impact Foundation is an international charity taking practical action today to prevent needless ill health and disability tomorrow. Specific grants cover the foundation's administrative costs, so every penny donated can be translated directly into action. We have concentrated soley on their innovative Lifeline Express, a fully equiped hospital train that travels through India restoring sight, hearing and mobility. 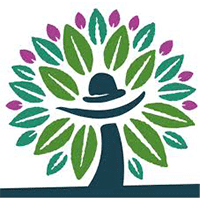 To date approximately 1000 individuals have benefited from your help. 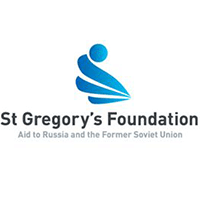 St Gregory's Foundation is a small charity dedicated to the alleviation of distress and deprivation in the former Soviet Union. The Foundation assists the desperately needy and also supports a wide range of relief initiatives from soup kitchens to family care groups, and from basic skills programmes (carpentry, cooking and sewing) to academic courses in orphanages. 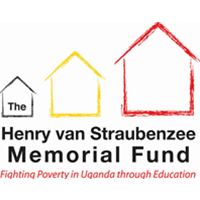 This small charity was set up to alleviate poverty in rural Uganda through investing in buildings and educational resources in schools. They form partnerships with schools to assist them to become centres for excellence and to ensure that even the poorest children have access to high quality education - they are currently helping over 10,000 children across 16 schools. Thanks to the The Ultimate Travel Company donations we were able to build three classrooms, plus an Ultimate dedication plaque, and provide a 10,000 litre water tank at Busuuli primary school, in south east Uganda. 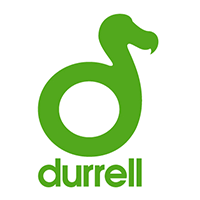 The Durrell Wildlife Conservation Trust has a worldwide reputation for its pioneering conservation techniques having made a significant difference to over 30 endangered species worldwide. We have been supporting the trust since 2008 arranging two Expeditions on board the MS Island Sky to projects within the Indian Ocean and the East Coast of Africa. This has resulted in their members seeing first hand some of the Trust's projects as well as donating over £29,000 to the Durrell Trust. It is hoped to run another Expedition in 2012 from Costa Rica to Barbados including the Panama Canal. Amantani's mission is to help the children of Peru keep their smiles. Since 2008, they have been working to bridge the gap between home and school for children living in Ccorca; a small Quechua district high in the Andes Peru. Their Boarding Houses help over sixty children who used to walk up to four hours to get to school. 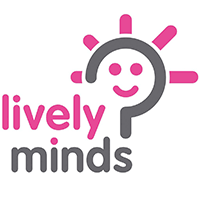 Lively Minds work in the poorest and most remote rural villages in Ghana and Uganda to improve the quality of life for deprived children. They do this through creative education programmes that enliven minds and empower communities to use their own skills and resources to change theirs and their children's lives for the better. Tusk supports more than 50 field projects in 18 African countries that not only work to protect wildlife, but also help to alleviate poverty through sustainable development and education amongst rural communities who live alongside the wildlife. Cambodia may have finally emerged as a politically stable and developing nation, but the scars from three decades of war, genocide and internal struggle will take a long time to heal. Exotissimo, a local dynamic charity is addressing these facts and has helped eliminate much of the poverty in Cambodia at a community level. Your donations alone enabled a new classroom for 150 children to be built and supplied with equipment. Your help also enabled 20 wells to be sunk providing fresh drinking water to 850 families. The Ultimate Travel Company is not responsible for the content of external internet sites.